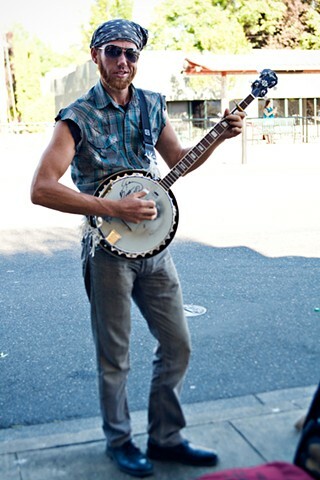 Banjo Billy plays outside of New Seasons in the Arbor Lodge neighborhood of North Portland. His dad was a marine, and he grew up in California and "all over the place." He says his banjo is the lady taking care of him now, until he masters it and it helps him find another lady.